Purnima Exports is Manufacturer of Women Apparel. We special ise in wide range of hand embroideries & Machine Embroideries. This is one of our new developments for customer. 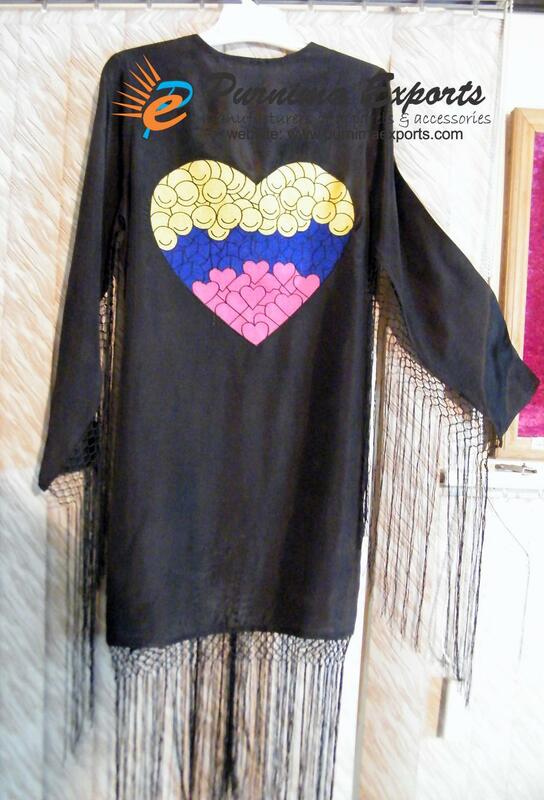 The picture shows fringes & beautiful embroidery of heart, smiles on Silk Crepe. We are working with designers, startups, boutiques for development of there collection in India. We have our own production and manufacturing Unit.